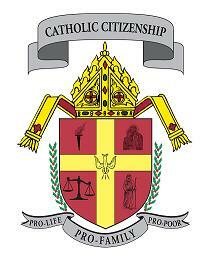 Catholic Citizenship seeks to represent Roman Catholic voices in the public square. In May, 2010, Pope Benedict XVI called on the laity to become active in political life. Catholic Citizenship is following the Holy Father’s call by encouraging and enabling the faithful in civic engagement. Catholic Citizenship supports the work of Catholic Bishops and Pastors in promoting a culture of life and family in government and politics. Catholic Citizenship is faithful to the Teaching Authority of the Roman Catholic Church and is loyal to His Holiness, Pope Francis.